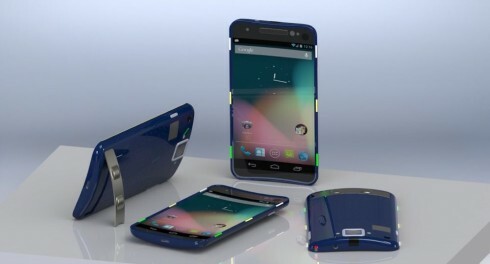 It’s no Galaxy Nexus 2, but this new Nexus Phone mockup created by Dorian Lust is certainly interesting. 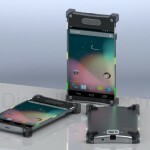 He imagines a curved device that’s pretty wide and below you can see the handset going through some design changes, as the designer accepts feedback. We don’t have any specs for this model, but we do have some features mentioned by Dorian. 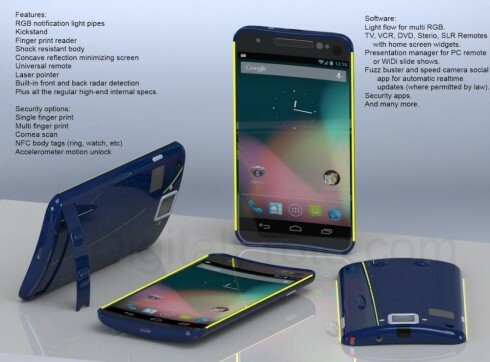 This Nexus concept uses a kickstand, discretely integrated at the back, RGB notification light pipes and also has a fingerprint reader. Its body is shock resistant and the screen adopts a concave format for reflection minimizing. The new Nexus is able to be used as a universal remote, laser pointer and it has back and front radar detection and the “regular high end internal specs”. I guess that means quad core CPU, maybe a Snapdragon S4 quad core, 720p or even 1080p screen, 1 or 2 GB of RAM and maybe a 12 megapixel camera. NFC and cornea scan are here and maybe Android Key Lime Pie as well. 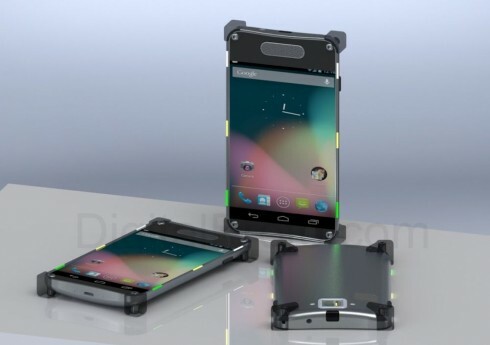 What would be cool is if the edges of the handset were a bit flexible, since it’s so curved and all. So, do you like this design? And why?